This adorable 3-month old kitten may look like she is burning up the dance floor, but she really has a neurological disorder that has similarities to cerebral palsy. While it is not life-threatening, it will also not get any worse. “A lot of people are really interested in this cat so I expect she won’t be around too much longer here. 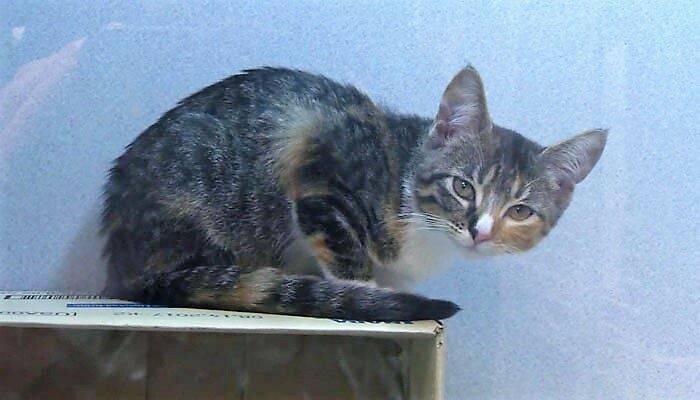 Today a lot of people called interested in adopting her,” Humane Animal Rescue Shelter Director Dan Rossi told WTAE/CNN. Cats with Cerebellar Hypoplasia, or CH, have shown they are as full of love and life as any kitty. From the friendship between Ralphee and Max to Wobbles from Brother Wolf Animal Rescue, as with any special needs animal, they sometimes just someone willing to understand. The best part for Twerk? The sweet little girl has already found a forever home.